Zodiac Signs - Aries, Taurus, Gemini, Cancer, Leo, Virgo, Libra, Scorpio, Sagittarius, Capricorn, Aquarius, Pisces and yearly horoscope. 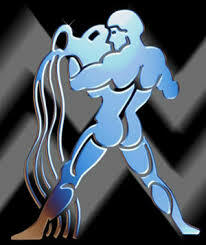 Aquarius zodiac sign encompasses all those individuals who are born between 21st January to 18th February. This is the 11th sign of the Zodiac and individuals belonging to this zodiac are very friendly, loyal, truthful and freedom loving people. Aquarius have a very pure heart and they want to make the world around them a better place for everyone to live. Humanitarianism and philanthropy is one of the strongest parts of their personality and they would n’t mind dedicating their life for the poor and the needy. With a very friendly nature, they have progressive thoughts and an open mind that is always working towards the betterment of humanity. They can go to any extent to help others and alleviate sufferings from the life of people. They are fair, impartial and love to live a control free life. Freedom is their greatest treasure and valued possession and they will never trade it for anything or compromise with it. They love constant change and excitement in life and are also known for their crazy and eccentric ideas. Sometimes they tend to be living in a world of fantasy and become a bit impractical. Aquarius Horoscope tells us a lot about these individuals. Their character, personality, tastes, strengths and weaknesses etc so that we could determine the kind of people they are. They are very friendly people who will easily mix with up any group or situation. It does not take much time for them to adapt to new environment and surroundings. However they are very protective about their personal space and like to keep it guarded. They have a very unconventional bent of mind and do not necessarily follow the mainstream. They are always in the quest of new knowledge and ideas that can make theirs and everyone’s life better. Once they stick to an idea or hold a position, it is difficult to make them change their mind. However they are not fanatics and sometimes bend themselves according to the need of the situation. Aquarius Horoscope reading can be conveniently used to determine the important aspects of their life and help them make important decisions. Some of their positive qualities are being loyal, legitimate, spiritual, pleasing, versatile, candid and helpful and some of their negative qualities are being inconsistent, disinclined, detached, unfocused and sometimes inefficient. Because of their friendly nature they go along with many people but are most compatible with people belonging to horoscope signs like Libra, Gemini, Sagittarius and Aries. They are some of the noblest people we find on this earth, who are selfless and caring.